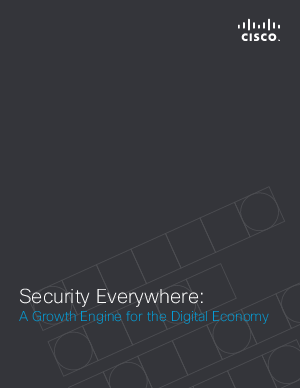 Just as modern networks have transformed our world, modern approaches to security will as well. Embedding security everywhere across the extended network clearly increases security effectiveness against advanced attacks. But it also allows security to become an enabler for businesses to take full and secure advantage of opportunities presented by new digital business models and the Internet of Everything (IoE).